This whiskey is made in cider casks once a year, during apple harvest season. Tullamore Dew Cider Cask Finish is an original proposition from the iconique irish brand. 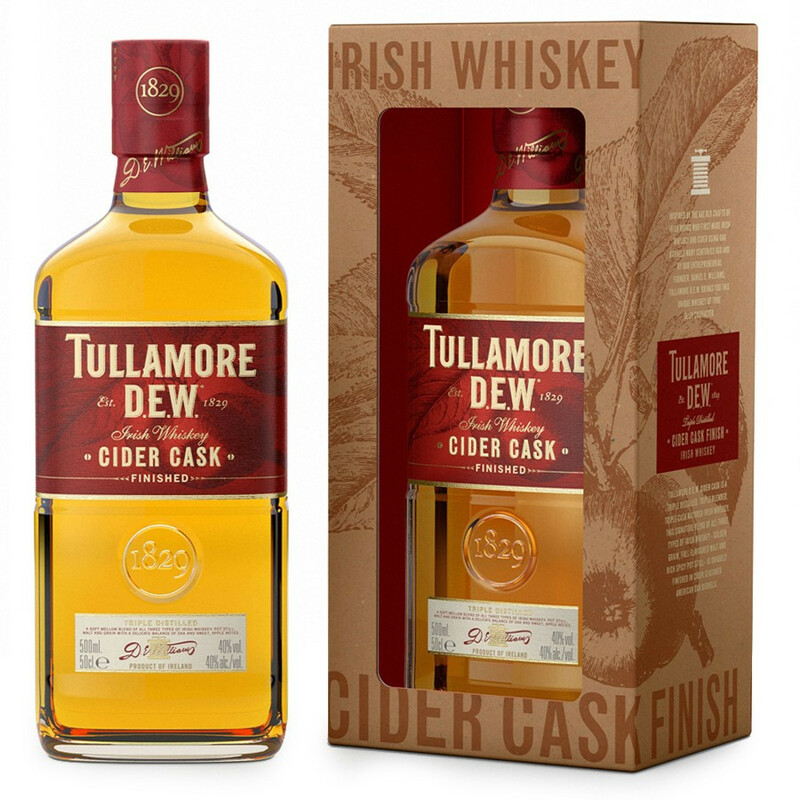 This whiskey, made from cider casks, is produced once a year during apple harvest season. The distillery brews irish apple juice freshly pressed in cider, in oak barrels, before filling those barrels with triple distilled whiskey. - The first references of cider in Ireland goes up to the 12th century. - The first references of whiskey in Ireland goes up to year 1405. Nose : very fresh with green apple notes and malty smoothness. Palate: light, soft and fruity, a nice balance with soft fresh oak notes, creamy malt and apple. Finish: soft and persistante with subtil fruity taste.